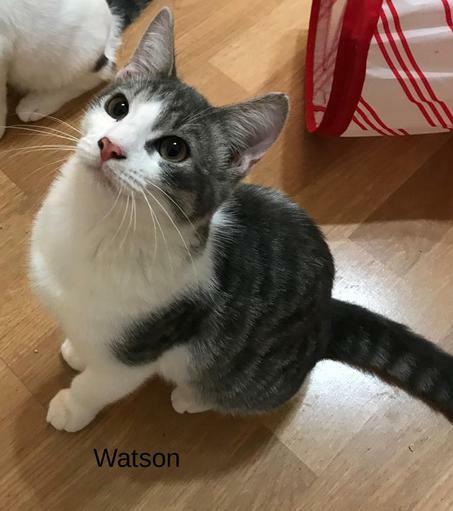 Watson is one of a family of five cats who are all available for adoption. He and his siblings were born in a garage, the refuge their homeless mother, Persephone, found back in June 2018, when she was about to give birth. Against all odds, the kittens were born healthy and both mother and kittens were taken in by our volunteer, Tabitha, and her cat-loving daughters. The youngsters are as big as their mom now, but they still act like a family even though Persephone was spayed some time ago. The kittens are all spayed or neutered themselves now and ready for forever homes. All of the cats are loving and affectionate, but Nova, the lone female, is very timid and easily frightened. She will require a patient, loving person to reassure her that she has nothing to fear. 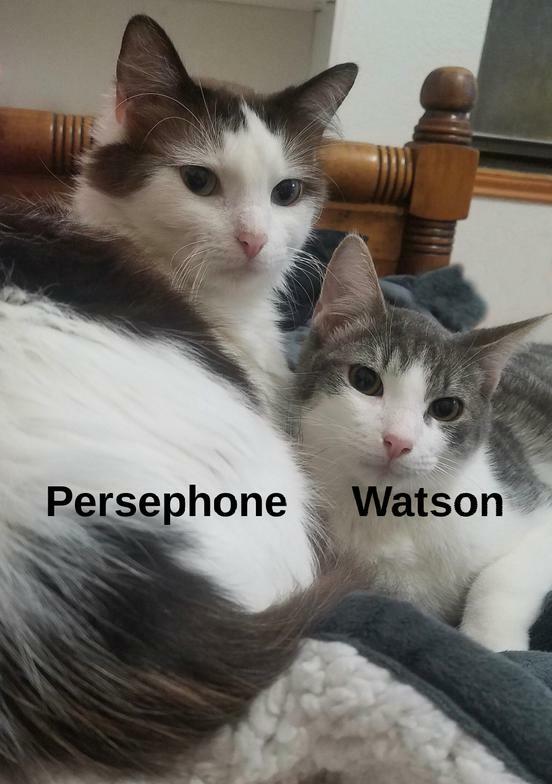 Watson and his brothers, Darwin and Franklin, are much more confident and sure of themselves. We're hoping for loving families that might be able to adopt any two of these great cats together, since they are clearly bonded. Call their foster mom, Tabitha, at 956-358-6344 for more information.